The Securities and Exchange Commission (SEC) on Tuesday said the nation’s huge infrastructure gap could be addressed with investments in sustainable finance initiatives such as Green Bonds. Ms Mary Uduk, SEC Acting Director-General, stated this in an interview with Newsmen in Lagos on the sidelines of the Green Bond issuance rules launch. SEC Green bonds were created to fund projects that have positive environmental and/or climate benefits. Majority of the green bonds issued are green “use of proceeds” or asset-linked bonds. Proceeds from these bonds are earmarked for green projects, but are backed by the issuer’s entire balance sheet. Uduk said there was the urgent need to close the huge infrastructure gap with investments in green bonds. She said issuance of green bond would provide an avenue to raise capital in the market to finance the country’s infrastructure needs, enhance liquidity and help deepen the market. “Naira sustains free fall at parallel market. Green Bonds is one of such avenues to raise needed capital from investors with a passion for keeping our environment clean and investing the proceeds in environmentally friendly and green infrastructure initiatives,” she said. On effective utilisation of proceeds, Uduk said the commission had robust monitoring and issues proceeds verification that tracked issuers and proceeds utilisation. She said the verification process ensured that proceeds from the issue were directed and utilised for the projects they were earmarked for in accordance with the guidelines. “SEC is engaging with stakeholders and capital market operators on various enlightenment and training programmes on Green Bonds. Specifically, since second quarter SEC has collaborated multiple times with the Climate Bonds Initiative (CBI) to provide training for regulators, investors, and intermediaries on Green Bonds,” Uduk stated. 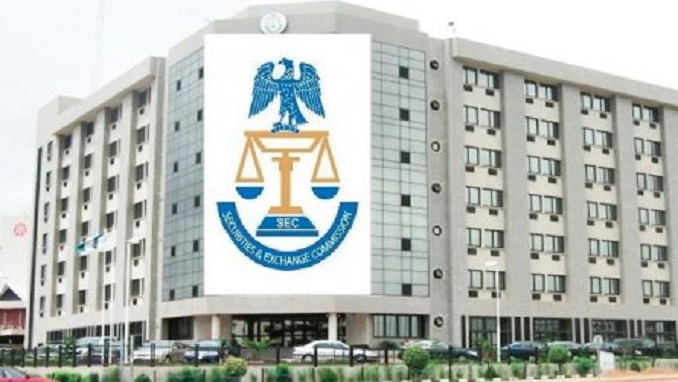 She said SEC had rolled out rules on green bonds and conducted enlightenment programmes as part of its efforts to create an enabling environment for issuers and other stakeholders. According to her, the commisson will continue to encourage companies to take advantage of this tremendous opportunity. “It is a new area and we will continue to develop capacity in the green bond market both internally at the SEC and the market as a whole. “We have organised trainings for regulators and continue to work with experts and organisations like CBI to further strengthen capacity in this area,” Uduk said.